Last year, Vacheron Constantin celebrated its 260th anniversary with the introduction of a new collection: the Harmony – a feat very few brands attempt to pull off. This year, the eldest member of the SIHH concentrates on one the brand’s forgotten heroes: the Overseas. Designed Jorg Hysek in 1977, the Overseas (then reference 222) was the brand’s foray into the exciting world of luxury sports watches. The 2016 collection is the first total revamp of the collection since 2004, gearing itself towards sporting elegance and convenience. All are certified by the Hallmark of Geneva, equipped with a new generation of automatic calibers and an interchangeable straps/bracelets module that make them extremely versatile. The Overseas collection has always struggled in comparison to other luxury sports watches. With the exception of the Chronograph. Part of the ‘official’ Overseas collection launched 20 years ago, it is the sportiest watch in the family, and the obvious choice for an all-purpose, daily Vacheron. The same can be said of the latest iteration, presented in stainless steel or rose gold, with a choice of blue or white lacquer dials. The new Overseas Chronograph is slightly larger than its predecessor (42.5mm vs 40mm). Hours, minutes, small seconds, calendar and chronograph functions are powered by the new in-house Caliber 5200, featuring 52 hours of power reserve. The Overseas is priced at $28,900 in stainless steel, and $49,000 in rose gold. The entry-level of the new collection, the Overseas comes closest in design to the original reference reference 222, which inspired the rest of the line. It features a clean dial, with hours and minutes hands and a small window aperture at 3 o’clock. The watch is powered by the in-house Caliber 5100 60 hours of power reserve. 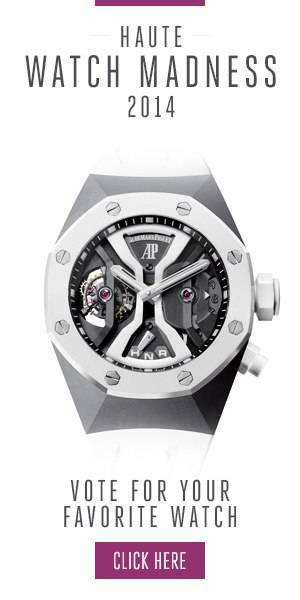 The Overseas comes in two versions, in stainless steel ($19,000) or rose gold ($35,000). Its name is self-explanatory. At 36mm, the Small Model is Vacheron Constantin’s smallest new model. The watch, which features diamonds on the upper level of the iconic two-part bezel of the Overseas, is geared towards women. It features hours and minutes, as well as a small seconds sub dial at 9’clock, and it is powered by the in-house caliber 5300, which can be admired through a sapphire case back. The most complicated watch in the new Overseas family, the Ultra-Thin Perpetual Calendar is also the most elegant sports watch in Vacheron Constantin’s 2016 line-up. The watch houses the iconic ultra-thin Caliber 1120 QP equipped with a perpetual calendar inside a white gold 41.5 mm case. The Overseas Ultra-Thin Perpetual Calendar is priced at $91,400. Presented in an elegant white gold 40 mm case (7.5 mm thick), the Overseas ultra-thin watch presents a minimalistic face, with no date window, and no seconds hand. Giving the sunburst grey a chance to really shine, and boy does it do just that when the light hits it at the right angle. The new Ultra-Thin has a very contemporary look and feel, but it’s powered by an old-timer. Inside the 7.5mm thin case beats the ultra-thin automatic Caliber 1120, an iconic self-winding used by Audemars Piguet and Jaeger-LeCoultre is select models. The Overseas Ultra-Thin is available in white gold, priced at $55,700. In the Patrimony collection, Vacheron Constantin adds a new limited edition to its all-platinum Perpetual Calendar watch. Everything from the 41mm case and dial, down to the stitching on the alligator Mississippiensis leather strap is made from PT950 platinum. The watch once again features hours, minutes, day, date, month, moon phase, and a 48-month counter with leap year indication. The Patrimony Perpetual Calendar from the Collection Excellence Platine is a limited edition of 100 pieces, priced at $110,700.